I framed a bunch of 10″ covers from my collection. Here’s the first of a few I pulled for you. Again on the Sinter label from Brazil in the 1950’s. 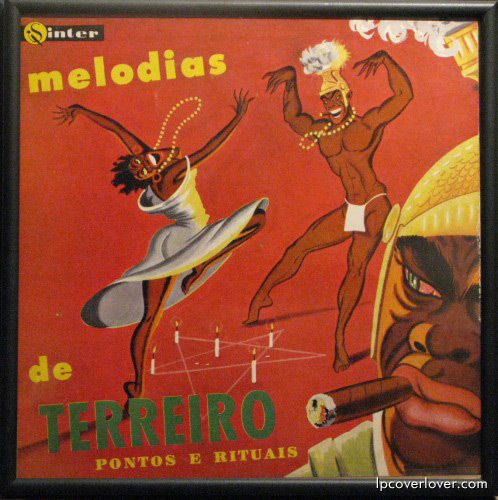 “Melodias de Terreiro” Pontos E Rituais. Pretty cool. are that guy’s arms on backwards? Do you gimme this play?